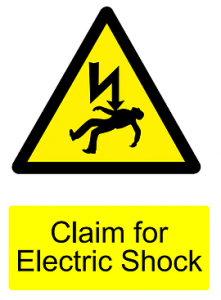 If you have suffered an electric shock at work we can help you claim compensation on a No Win-No Fee basis. If, in the past three years, you have received an electric shock, been electrocuted or suffered electrical burns while at work you can look to claim compensation for your injuries and financial losses. Here at Cohen Cramer Solicitors we are experts at dealing with such claims and can help you claim the compensation and damages that you deserve. Your claim can be dealt with on a no win-no fee basis so that if, for any reason, your claim fails you don’t pay us a penny for the work we have done on your behalf. You don’t have to be an electrician to get an electric shock and the majority of those who claim for such an injury are just carrying out their job when the incident happens as a result of the negligence of others. Electrical burns or shocks can happen as a result of faulty or defective equipment or incorrect repair or wiring of a machine, piece of equipment or mains at your place of work or other place you may be visiting as part of your working day or the horseplay or negligence of a colleague causing you to be injured. Out of pocket expenses such as medication costs, travel for treatment, damage to clothing etc. All and other losses arising from and as a direct result of the accident. Your claim can be dealt with on a ‘No Win – No Fee’ basis, this means that,if for any reason, we are not successful then you don’t pay us a penny for the work we have done.